The celebration of the 11th anniversary of St. Michaels Concours d’Elegance will be held on Sunday, September 24 at the Fogg Cove Landing waterfront campus portion of the Chesapeake Bay Maritime Museum and on the picturesque waterfront law of Inn at Perry Cabin. The internationally acclaimed event was, in fact, opened on the grounds of the Inn at Perry Cabin back in 2007 by Founding Chairman George Walish, past president of Rolls Royce of North America. Local volunteers of the St. Michaels Concours d’Elegance celebrated a historic return home to St. Michaels in 2016 through partnership with the Chesapeake Bay Maritime Museum and are delighted that the Maritime Museum will be co-hosting. The 11th annual St. Michaels Concours d’Elegance will be held on September 24 at the Fogg Cove Landing waterfront campus portion of the Chesapeake Bay Maritime Museum and on the picturesque waterfront law of Inn at Perry Cabin, shown here. The St. Michaels Concours d’Elegance showcases some of the finest automobiles from around the world and is proud to announce the Honorable Judge Joseph C. Cassini III is the Honorable Chairman for 2017. Joseph, billed by The New York Times as “a Well-Traveled Concours Winner, is the owner of many exquisite classics and recipient of numerous trophies, including two Pebble Beach Best of Show wins. The St. Michaels Concours has been dubbed by some as one of the top 10 such events in the United States, and George Walish has called it the “Pro-Bowl” to Pebble Beach’s “Super Bowl” of classic motorcar competitions. In the tradition of the historic Concours events held in Paris, the exhibit of automobiles will be complemented by an elegant fashion show presented by Chesapeake Outfitters. Final details of Concours weekend are being made to include a gala benefit dinner; tickets are available online for $200. The dinner will be highlighted with a presentation by the Classic Motor Museum’s students enrolled in its automotive educational program on Saturday evening at the Inn at Perry Cabin. 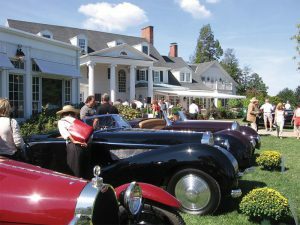 “The Inn’s historic nature,” says Concours Chairman Luke Phipps, “the beautiful gardens and its grandeur are the perfect backdrop for an event which has style at its core.” The Inn’s waterfront lawn and show field on Sunday will feature rare, pre-war European and American coach-built automobiles as well as significantly important post-war sports cars. A special class of previous Best in Show winners is being created. This Best in Show exhibition will be joined by the Senior Award Winning Automobiles from the significant Concours throughout the country, including Pebble Beach, Amelia Island and Radnor Hunt. Luke adds, “With Chef MacDonald’s culinary expertise and commitment to local ingredients, we’ll be debuting an enhanced exclusive VIP and entrants gallery, which will feature a gourmet garden party with live music, flowing champagne and culinary delights.” An additional display of classic wooden speedboats next door at the Chesapeake Bay Maritime Museum will enhance the mood of stepping back in time. The Concours will continue its partnership with the Classic Motor Museum in 2017, with plans for the Museum to host Saturday’s Motoring Tour departing from the newly constructed post and beam exhibits barn housing the museum’s main collection for an antique and classic airplane rendezvous at the Easton Airport. “That partnership remains particularly important to us,” adds Luke, “Once again the beneficiary of the 2017 Concours is the Classic Motor Museum of St. Michaels. 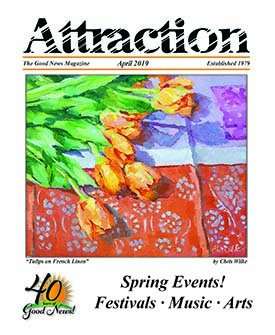 The Chesapeake Bay Maritime Museum, Classic Motor Museum and St. Michaels Concours d’ Elegance prioritize education for local children and young adults. The new Classic Motor Museum recently launched an automotive educational program and restoration of a rare 1938 Alvis Drop head coupe that will be on display the entire weekend. Tickets are now available online and may be purchased at www.smcde.org. General admission tickets are $50 and a VIP Pass is $160. For further information, visit www.smcde.org or call the Classic Motor Museum of St. Michaels at 410-745-8979.